The US–Vietnam Comprehensive Partnership: what’s in a name? In July 2010, US Secretary of State Hillary Clinton journeyed to Hanoi and proposed that bilateral relations be raised to a strategic partnership. Negotiations became bogged down by late 2011 when the two sides disagreed how human rights should be treated. It therefore came as a surprise last week when US President Barack Obama and his Vietnamese counterpart announced they’d decided to form a U.S.–Vietnam Comprehensive Partnership to provide an overarching framework for advancing the relationship’. Vietnam has long sought to diversify and multilateralise its foreign relations but, in the process of expanding its foreign relations, has had to treat some countries as more equal than others. Vietnam has applied the term ‘strategic partner’ to single out these twelve special states. The first eight were the Russian Federation, Japan, India, People’s Republic of China, Republic of Korea, Spain, United Kingdom, and Germany. Italy, Singapore, Thailand and Indonesia were added this year. Vietnam’s partnerships with Russia and China were later further raised to ‘comprehensive strategic partner’ and ‘strategic cooperative partner’, respectively. 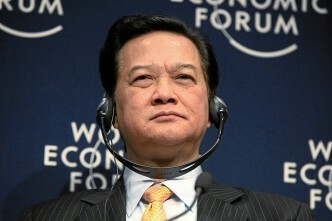 Prime Minister Nguyen Tan Dung noted in his keynote speech to this year’s Shangri-La Dialogue that Vietnam sought strategic partnerships with all permanent members of the United Nations Security Council. Since Vietnam already had strategic partnerships with China, Russia and the United Kingdom, it would need to negotiate strategic partnerships with the United States and France. The term ‘strategic partner’ is a political term that identifies states with which Vietnam has developed comprehensive bilateral relations, and which it considers to be particularly important for the attainment of its national interests. Vietnam’s strategic partnerships are embodied in formal declarations whose form and content varies from partner to partner. Generally, strategic partnership agreements set out a high-level joint mechanism to oversee their implementation. Strategic partnership agreements are usually also accompanied by a multi-year Plan of Action covering objectives in each sector of the agreement, such as political-diplomatic, economic, science and technology, social-cultural, and security and defence, etc. Why did the US and Vietnam opt for a ‘comprehensive partnership’ rather than the stronger strategic partnership? First, because negotiations on a strategic partnership bogged down, and the two sides might have concluded that a less formal agreement was preferable to no agreement at all. Second, senior Vietnamese party conservatives objected to characterising relations with the United States as a strategic partnership. For example, after the Comprehensive Partnership was announced, Vietnam’s Ministry of Foreign Affairs directed the media to not to refer to it as an upgrading of Vietnam’s relations with the United States. Instead, Vietnamese media were instructed to report only that the comprehensive partnership was ‘declared’. Should the US–Vietnam comprehensive partnership be viewed as a strategic partnership by another name? The precedent is Vietnam’s comprehensive partnership with Australia. Prime Minister Kevin Rudd, in his first spell in office, objected to a strategic partnership agreement because bilateral relations with Vietnam hadn’t yet reached the level of intimacy and cooperation enjoyed by Australia with its allies and other like minded states. Australia and a reluctant Vietnam opted to designate their relationship as a comprehensive partnership. This agreement was accompanied by a three-year Plan of Action and a joint mechanism to oversee its implementation. 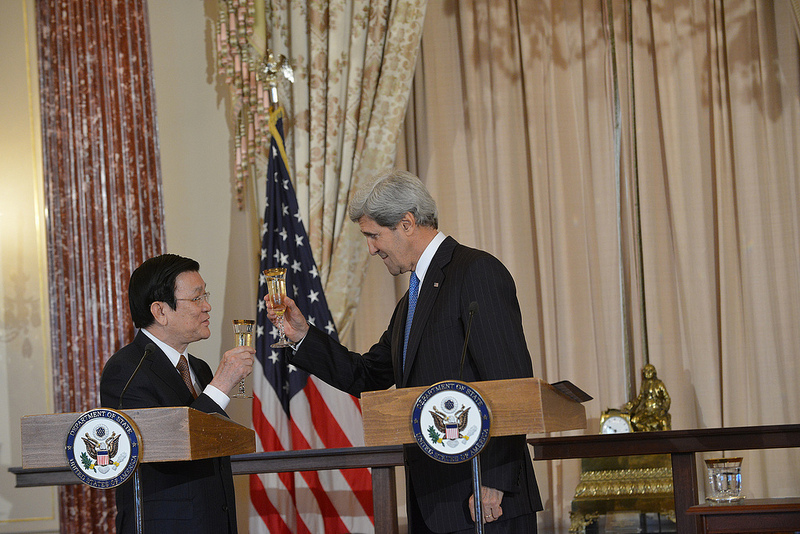 The US–Vietnam Comprehensive Partnership is a work in progress. Most of the items included in its nine points merely reiterated areas of cooperation that were already underway. The Joint Statement reinforced the role of existing bilateral mechanisms in several areas (Trade and Investment Framework Agreement Council; Joint Committee for Scientific and Technological Cooperation; Defense Policy Dialogue; and Political, Security, and Defense dialogue). However, the Comprehensive Partnership did create a new political and diplomatic dialogue mechanism at ministerial level. But the Comprehensive Partnership makes no mention of a Plan of Action. Nor does it mention a high-level coordination mechanism. Instead, the Joint Statement notes that new mechanisms for cooperation will be created for the following nine sectors: political and diplomatic relations, trade and economic ties, science and technology, education and training, environment and health, war legacy issues, defence and security, protection and promotion of human rights, and culture, sports and tourism. In summary, the US–Vietnam presidential discussions mainly advanced bilateral cooperation on trade and economic issues, including a commitment to reach agreement on the Trans-Pacific Partnership this year. The US–Vietnam Comprehensive Partnership is mainly an agreement describing already existing cooperation across a number of areas, and so falls short of Vietnam’s other formal strategic partnership agreements. It also currently lacks the strategic vision of Vietnam’s comprehensive partnership agreement with Australia. Carlyle EA. Thayer is an emeritus professor, University of New South Wales at the Australian Defence Force Academy in Canberra.